One of the most underutilized tools in the insurance world for self employed premium victims is the modern Health Savings Account or HSA. I find in my work that most of the issues can be tied to either having a lazy health insurance agent who is not well studied, or a customer who makes too many assumptions on what is and what is not included in the benefits. My hope is to clarify the process in which a consumer or agent should utilize to put together a smart and prudent HSA for themselves, and reap the tax advantaged benefits in the process. HSA plans are designed to have a higher than normal deductible, and as a beneficial result, a much lower monthly premium to be paid. The deductibles are either for a single person (which can run up to $5,000) and family (up to $10,000) but when the deductibles are covered, the procedure expenses are paid 100%. The money which a person SAVES on monthly premium is supposed to be invested in to the Health Savings Account, which can take the form of a separate bank account at most major banks, or an investment fund approved for HSA deposits typically paying more interest benefit. A debit card is issued for the account chosen, and all prescriptions, medical procedures, dental, vision, and any other health related bill is paid from the account. As long as the account is used properly for medical expenses, the money invested into the account is tax advantaged: Up to $2850 for singles, $5650 for families, and is arguably the thrilling part of having one. So what can possibly go wrong with the mathematics? Having said that, another approach to policy design is to add enough ancillary and separate accident and critical care coverage to off-set a major shock, such as cancer, loss of limbs, any accident, and the most expensive surprises. This enables a person or family to keep the premiums somewhat at bay, but covers the very real possibility of needing $10,000 or $20,000 cash immediately to pay for an emergency room, or other catastrophe. There is no better policy combination that I know of than a federally mandated (standards) HSA Major Medical Plan combined with the correct ancillary items, when taken in to proportion of monthly premium benefit and overall safety from unexpected events. The key to all of this for the self employed health insurance buyer is to work with a health agent who cares enough to dig in to the details of what ancillary policies would be best, covering everything from accidents and the top illnesses, to which discount program to use for dental and vision. If you do not have guarantees in all of these areas, coming up with large amounts of cash or credit for a surgery or other event could be horrible. 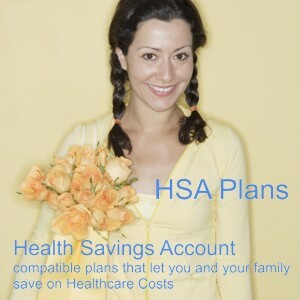 The HSA is one of the best weapons for the highest payers of health insurance, which are self employed individuals with no group plan to cover them. Take advantage of any of the top company plans, and choose your agent carefully. There are plenty of reliable health insurance companies out there. Find an agent that knows what ancillary tools to put in to perfect your HSA, and reap the premium and tax advantaged savings for you and yours.